Only 300 of these editions will be pressed for her book launch event on Saturday, April 20 at the University of Houston, Downtown (Robertson Auditorium) at 6:30 PM. The Wilhelmina Cullen Robertson Auditorium (A350) is located on the 3rd floor (Main Street Level) of the Academic Building. This event is co-sponsored by the UHD English Department and the Cultural Enrichment Center. The book is the price of admission to the event. Please order your copy early as these copies are limited. Once they are sold out Bloomsday will not print additional copies. Note: If you are picking up this item at the event, please select this option when you check out. Otherwise select an appropriate mailing option. Books can be picked up at the event under the name purchased. For those who cannot attend the event, books will be delivered a week after the event on April 20. A leading light in the new poetic guard, Deborah D.E.E.P. Mouton’s collection is a reimagining of the newspaper, collecting cutouts from the editing floor to resurrect those who would otherwise be forgotten alongside scenes from an “ordinary” family: mother, father, brother (Josh), and sister (Amandla), whose near and lived tragedies unfold against the backdrop of murdered black Americans. Amandla serves as a surrogate for all of us, regardless of skin color, morphing from naive bystander to headline, and uncovering what we should have seen all along: to be human in the world is to rectify its injustices. With Newsworthy, Mouton brings us dispatches from the heart. Born in Riverside, California, Deborah D.E.E.P. Mouton is an internationally-recognized performance poet and the first African-American Poet Laureate of Houston. 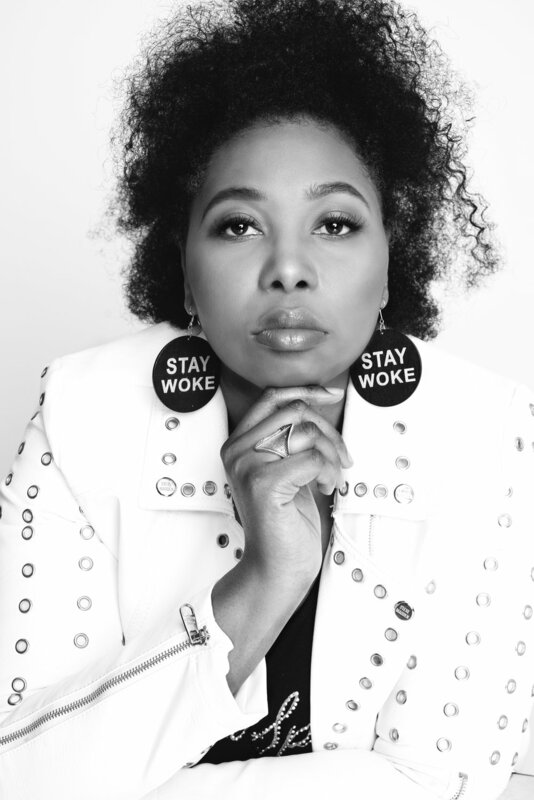 Formerly ranked #2 Female Performance Poet in the World, she is a founding member and executive director of VIP Arts, a non-profit dedicated to promoting literacy and the arts in underserved populations. Her genre-bending poetry has engendered unconventional collaborations with groups as disparate as the Rockets and the Houston Ballet. Her work has been featured on NPR, the BBC, and the TEDx circuit. An opera about the life of Marian Anderson, for which she wrote the libretto, premieres at the Houston Grand Opera in the spring of 2020. Mouton lives and teaches in Houston.